Kim Taylor has worked at Pee Wee Preschool since 1998. Before becoming the Director, she was a Pre-K preschool teacher. She holds a Bachelor’s Degree in Social Science with concentrations in Child Development and Family Relations. She also has certificates in Administration for Early Childhood Education along with certificates from PACE (Professional Association for Childhood Education) and many workshops. Her main objective as Director is to foster exceptional relationships between children, parents and staff. She is welcoming, kind, understanding and easy to talk to. In the time she has worked at Pee Wee Kim has grown a family of her own. She has two children that give her lots of insight from the parents point of view. She is happy to answer any and all questions you may have. 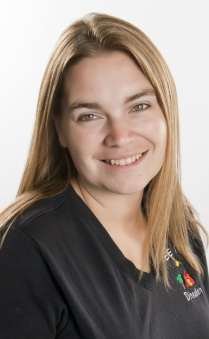 Melissa White joined our Pee Wee team in 2004. 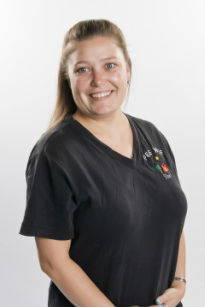 Melissa attended Butte College and earned her core units in Early Childhood Education along with a certificate in Food Health and Safety for young children. She has multiple certificates from PACE (Professional Association for Childhood Education) and has continued her education with certificates from early childhood workshops and trainings. 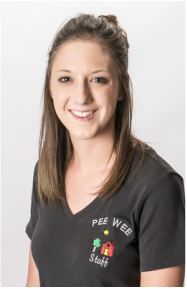 Amy Bailey became a team member at Pee Wee Preschool in 2004. Amy attended Butte College to earn her units in Early Childhood Education. She has multiple certificates from PACE (Professional Association for Childhood Education) along with certificates from early childhood workshops. With her warm smile and bubbling personality children take to her very easily. Abbey McNeilly joined our Pee Wee Team in 2015. Abbey is currently attending Butte Community College to complete her Early Childhood Education and working towards an associates in liberal Studies. Abbey has a fun positive personality and the children respond well to her energy and enthusiam. Colleen Lucas joined our Pee Wee Team in 2016. Colleen comes to us with experience in multiple local school-aged programs. Colleen is currently attending Butte College to complete her Early Childhood Education.